Fat Burner by transparent labs is like no other weight loss supplement we have tried. Is it flashy? No. Is it some crazy awesome flavor? No. But does it work? Yes, yes, and yes! While other companies focus on the flashy advertisements and getting their products into people’s hands at any cost; transparent labs focuses on the formula – and making sure customers come back! To do that, you don’t need bright colors or paid off endorsements… You need to give customers results! And that’s exactly what Fat Burner and Fat Burner Stim-Free did for us. Finally. There are several types of fat on the human body. That’s a strange truth that quickly comes to prove itself as you begin to weight train more and progress towards an ‘epic’ end result. This is extremely important and applicable to this fat burner review… because I am not an out of shape man. Rather I am – 26 years old, physically fit at 6’2 and 190 pounds, but not specifically cut on the waist. It’s not a case of losing any major aesthetics, but it is definitely a goal to cut away at. And, Fat Burner by TL certainly made this a more achievable reality. Now I know what you’re thinking… This guy is in shape, he essentially has the desired end result so how can this be applicable? Well, in all reality it’s exceptionally applicable. This is due to the phenomenon often referred to as ‘stubborn fat’… AKA the last pounds are the hardest to lose. I was at that point, that point which is hardest to get past… But it happened. 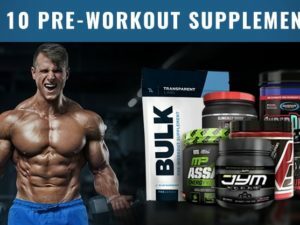 Using Transparent Lab’s Top Rated Fat Burner, twice daily, I burned through the stomach pouch while focusing on the same bodybuilding I’ve been doing for the last 9 years. Absolutely nothing changed, besides that fact that I started taking Fat Burner. This was a pretty powerful result, in my opinion. See, from working with BWSB – I’ve literally tried THOUSANDS of supplements. And while a few fat burners have given me some pretty good results (for like $120), nothing can compete with the ease of supplementation and ultimate end result that Transparent Labs Fat Burner offered. During my successful no-stress cutting cycle using Transparent Labs Fat Burner, I didn’t change any habits. But, I have a very specific set of habits that bodybuilding research has taught me. Much like how experience being a secret agent helps Liam Neeson rescue his daughter again and again. So, here is how I did it while taking Fat Burner. Sleep is king. I get at least 6 hours of uninterrupted sleep at the same exact time every night. This is pure gold for keeping your hormones in check. Food Choice is 50%. I avoid processed foods, live conscious of meal timings, and meet those macros. Gym Time is non-negotiable. 5 days a week I’m in the gym hammering those weights. Most of this is focused on the compound exercises like squats, bench press, dead lifts, etc. because, they work the best. Those habits, are what have always helped me to not get fat, and always build muscle. While it’s not the end-all solution… It is a lifestyle that creates very desirable results. Pair this lifestyle with Transparent Labs Fat Burner, and the magic happens on a whole new level. If I had more weight to lose, I would have lost it. I am very, very confident with saying that. After all, I changed nothing! That means, for the muscle head that wants to get shredded for summer, you can do it with ease. But more importantly, for the average out of shape guy or girl, taking Transparent Labs Fat Burner alongside a few very simple lifestyle changes will get you to hitting milestones, and fast. And that right there is the best motivation there is. There is no guessing when it comes to what’s in Transparent Labs Fat Burner, as all ingredients are 100% fully disclosed. A very common-sensed principle that’s very rare in the supplement industry. To go one step further – artificial preservatives, colors, etc. are not included in any Transparent Labs supplements. What is in Fat Burner, the staple-point fat burner in their PhysiqueSeries collection is 9 ingredients with clinically inspired dosages all in one super-formula supplement. Typically, we’ve only seen 2-3 of these ingredients combined in one time as it’s pricey for companies to use any more. Yet, somehow Transparent Labs is using more ingredients, and in larger doses than the competition while still coming in with a good price point. It literally makes no sense, but we are not complaining! To view information about the ingredients in this supplement, check out the Fat Burner page on TransparentLabs.com. 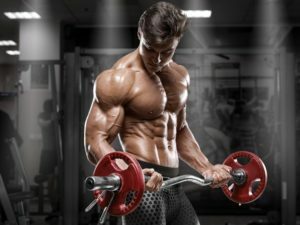 To see Physique Series Fat Burner versus other products, view the Official 10 Best Fat Burners Ranking via the right sidebar. Simply put, Fat Burner is the best at doing just that… Burning fat. The whole BWSB team loved this stuff, and we confidently recommend this as our #1 choice. Great energy, no burn out, and the best results we’ve seen thus far! What more can you ask for?